3 Which Criteria Should Satisfy a Candidate for a Tag? 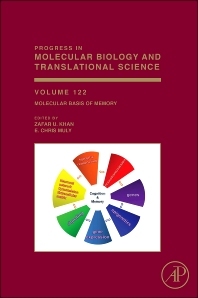 This special volume of Progress in Molecular Biology and Translational Science provides a current overview of how memory is processed in the brain. A broad range of topics are presented by leaders in the field, ranging from brain circuitry to synaptic plasticity to the molecular machinery that contributes to the brain's ability to maintain information across time. Memory systems in the prefrontal cortex, hippocampus and amygdala are considered as well. In addition, the volume covers recent contributions to our understanding of memory from in vivo imaging, optogenetic, electrophysiological, biochemical and molecular biological studies.